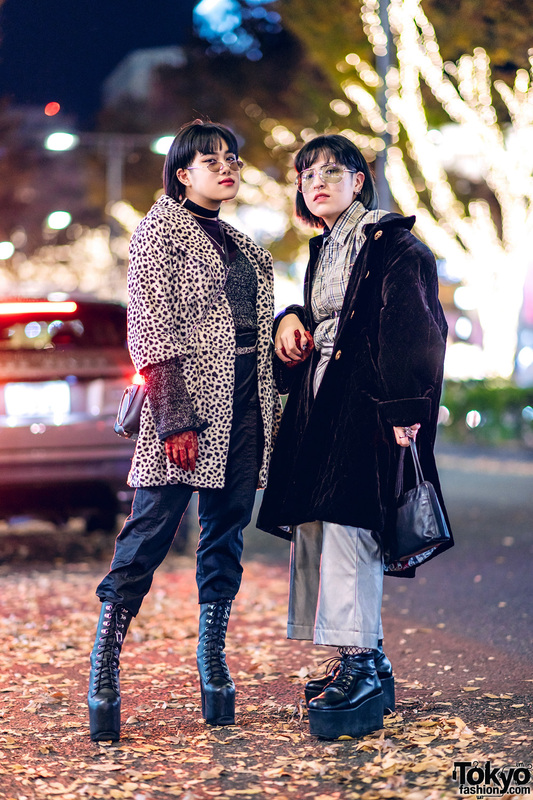 X-Japan fan on the street in Shinjuku, Tokyo wearing graphic fashion by the Japanese brand Civarize along with platform boots and silver accessories. 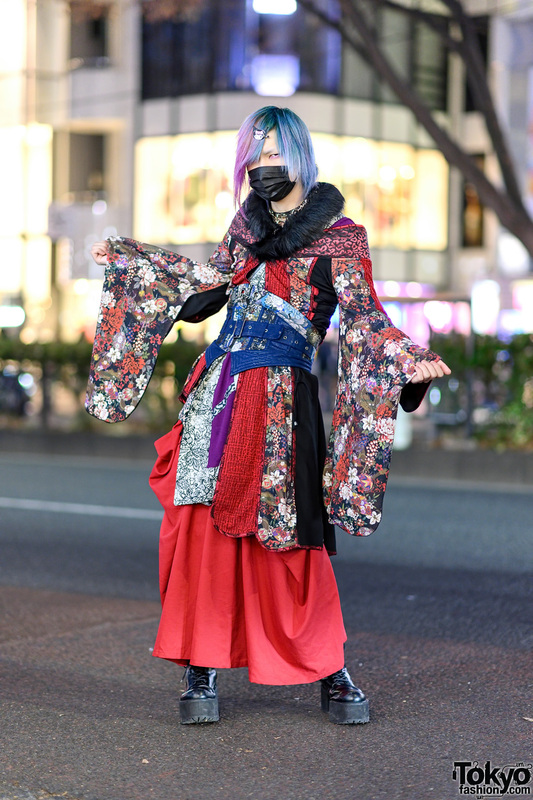 Japanese Shironuri Artist Minori on the Harajuku street sporting a vintage, handmade, and remake red and black fashion style. Japanese office worker sporting two-tone pink-and-blue hair, layered kimono tops, wide leg pants and heeled boots on the Harajuku street. 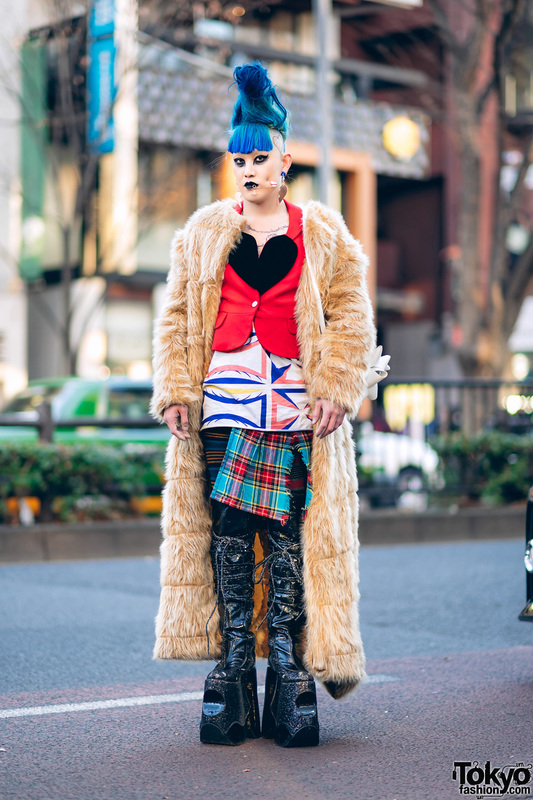 Japanese vintage fashion buyer & model sporting an avant-garde streetwear look with furry maxi coat, layers, and super tall platform boots in Harajuku. 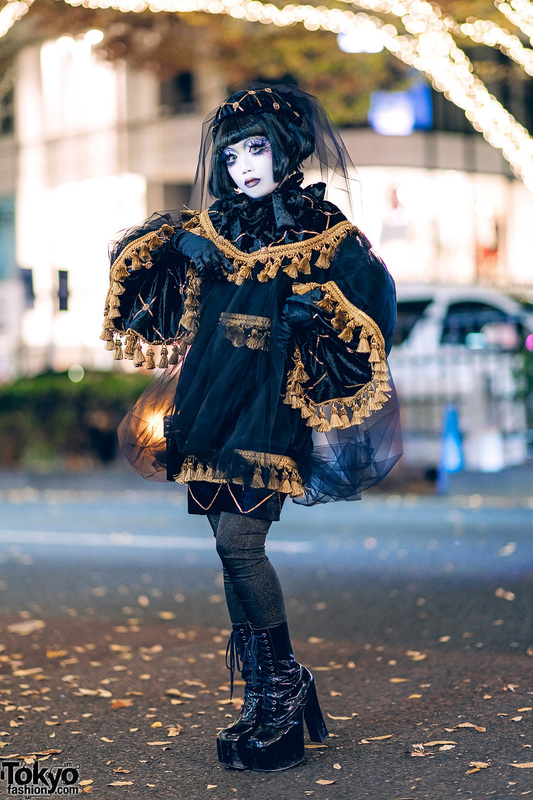 Japanese artist Minori in hand painted Shironuri makeup and all-black street style. Harajuku girl with blonde hair wearing an oversized bomber jacket with a t-shirt dress, mini backpack, and platform boots. 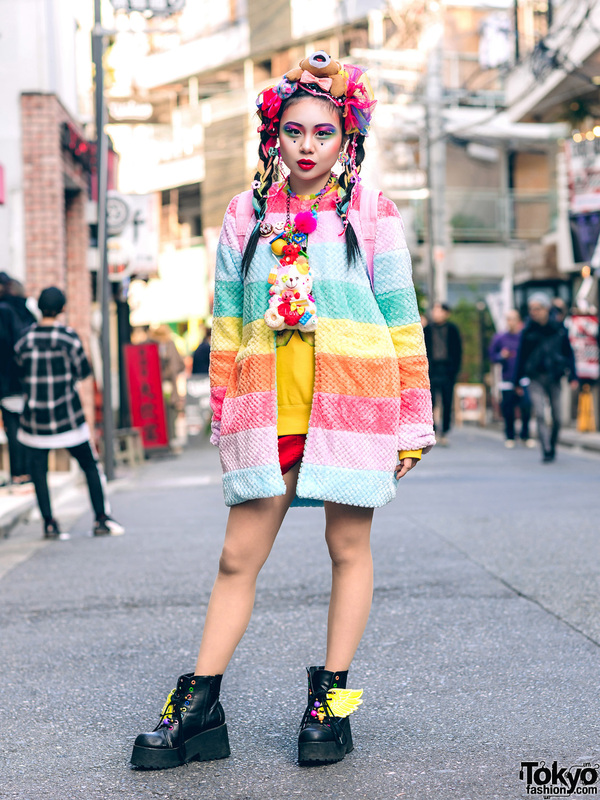 Harajuku art student sporting a rainbow kawaii fashion style while out and about on the street. Popular YouTuber and streetwear personality Rikarin in a chic streetwear outfit while out in Harajuku. 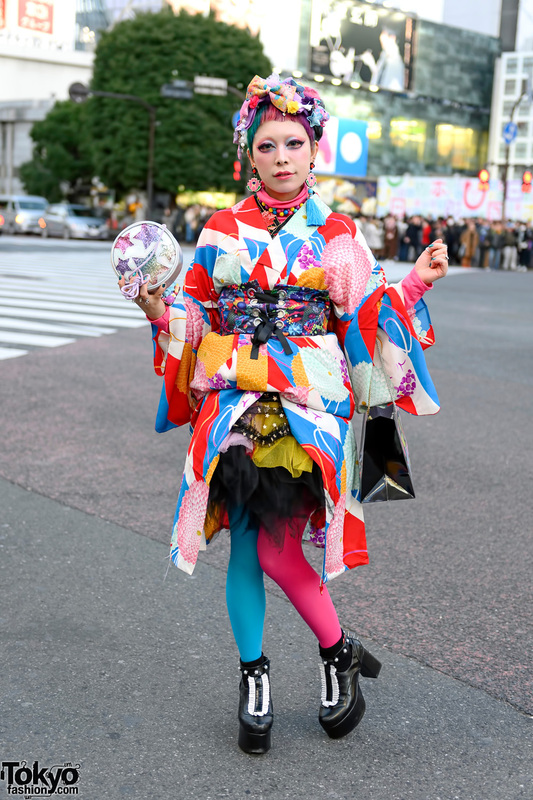 6%DokiDoki staffer in Shibuya wearing a colorful printed kimono from FuriFu, with a 6%DokiDoki obi belt, sheer tiered ruffle skirt, two-tone tights, Disturbia Clothing platform t-strap shoes, and colorful accessories.